Amethyst is the traditional birthstone for February and the zodiac birthstone for Pisces. 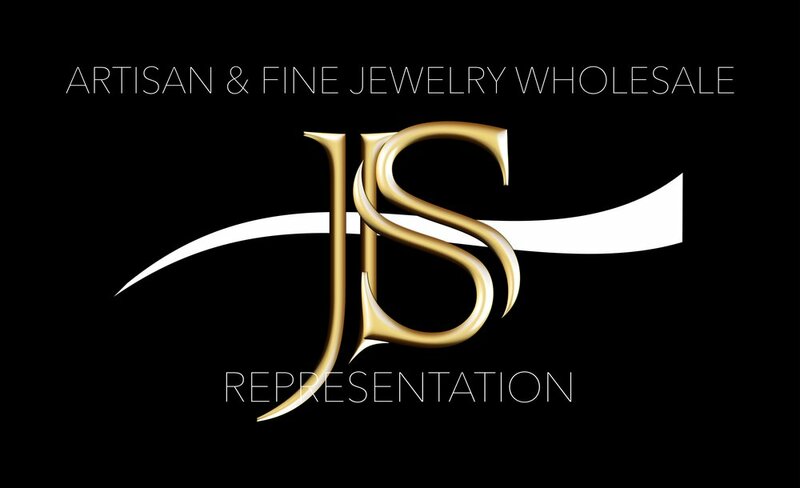 It is also the gemstone assigned to 6th and 7th year wedding anniversaries. Its deep saturating purple color represents creativity, wisdom, dignity, peace, mystery, independence and magic. 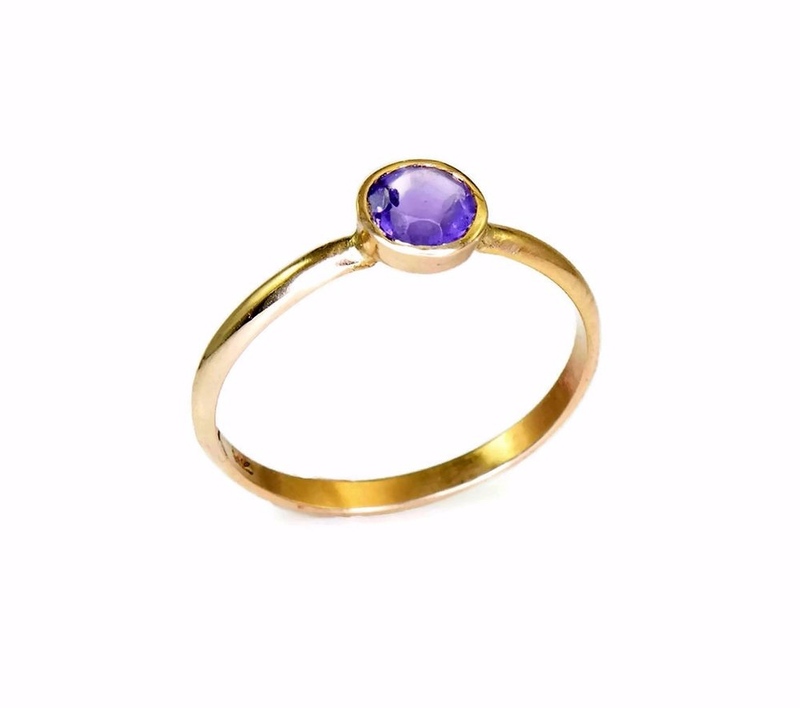 One of the worlds most beloved and cherished stones, amethyst has a deep and long history. 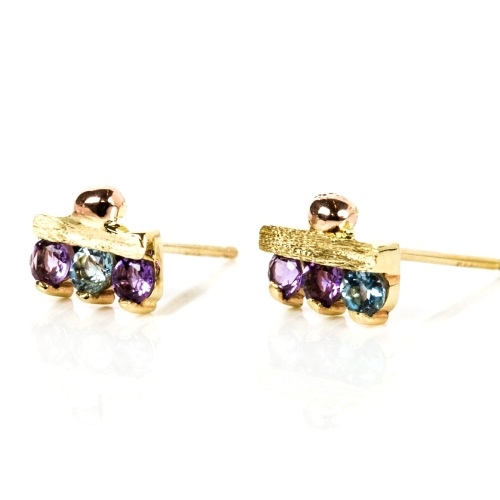 Valued by the Ancient Greeks and Romans, amethyst symbolized luxury and royalty. It was often found in crowns and rings and also in scepters. Before its discovery in Brazil, amethyst was considered to be one the world’s most valued gemstones. 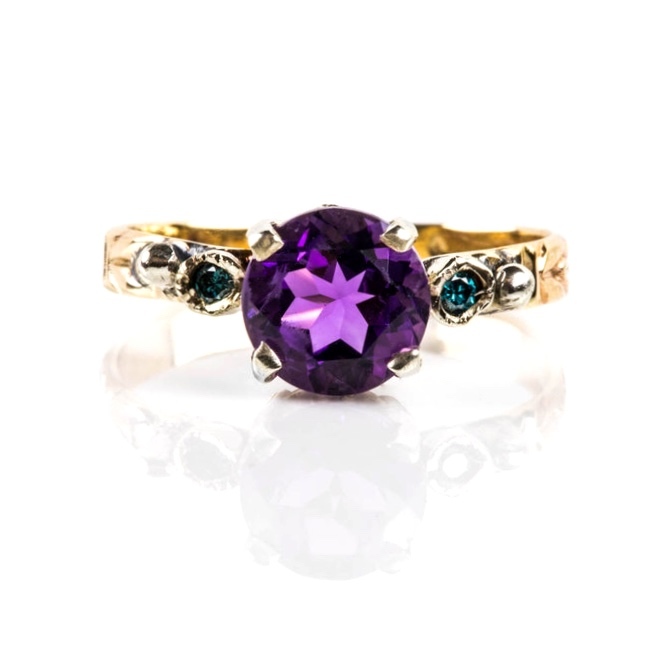 The origin of Amethyst came from the word meaning “Ametusthos”, a Greek word translated to mean “not intoxicated”. The ancients believed that drinking wine from an amethyst vessel would prevent intoxication. Amethyst symbolizes wealth, happiness and deep love. It is also thought to ward off negativity and heightens intelligence and is considered a visionary stone. In the spiritual realm, it is thought to open the third eye and lead to clarity of thought and enlightenment. Amethyst is the most valued member of the quartz family. While it must be purple to qualify as an amethyst, other shades can range from light lilac to mauve. Amethyst is a great amplifier and has positive effects by boosting mood and enhancing creativity. It is believed to ward off anxiety and fear.